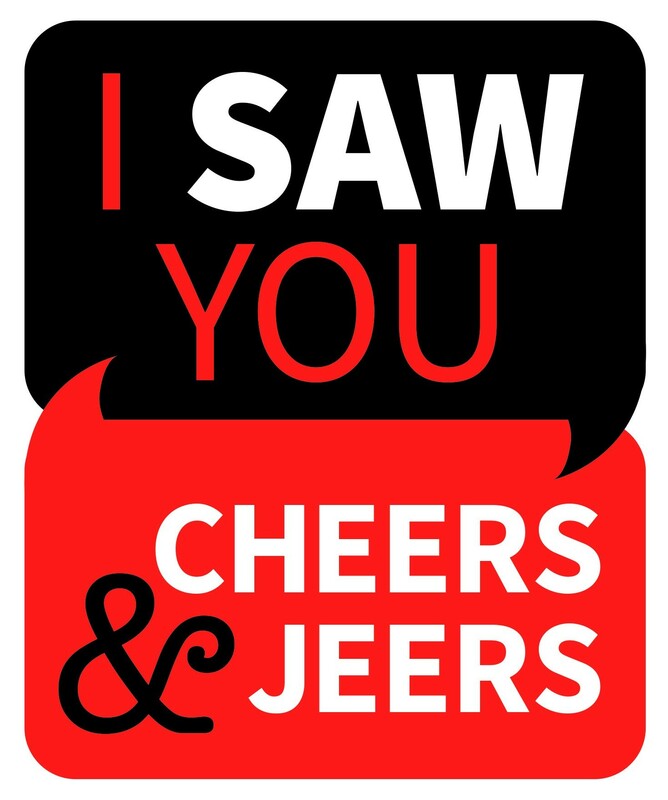 Smelly Stuff: I saw you at the northtown Bath & Body works. You were debating about purchasing a bottle of "Graphite" due to its similarities to your beloved "Oak." I was the blonde fascinated by the bread scented candle. I hope the future brings you the smelly stuff of your dreams. Hawaiian Shirts and Italian Food: I saw you at Ferraros on Friday. You managed your screaming companions with ease. You ordered steak and spaghetti and looked fabulous in that Hawaiian shirt and sweatshirt ensemble. I wish I had your patience and confidence. RV Show at the Fairgrounds on Saturday: You are a very cute, petite woman with long, dark hair and you wear glasses. You were standing with a group of people when we made, what felt like to me anyway, meaningful eye contact a few times. Here it is 4 days later and I'm still thinking about you. I just want you to know that you are beautiful. Your kindness stacks up: I saw you at the Northside IHOP on Saturday the 2nd. You were celebrating your birthday early with a stack of Tres Leches pancakes and commenting and the finer things in life. You told your short companions that you were proud of them several times and were so kind to the waitstaff. I owe you a stack sometime. Seeking Ice Cream Lover: This is her daughter and she says she saw you too. Valley Assembly of God in the Valley goes to DQ frequently on Wednesdays after small group and she is at church on Sundays. Yes, she is no spring chicken but is a lot of fun and does have awesome earrings. I think she would feel better if we all met up for ice cream or dinner the first time. We don't want her to miss a chance either! What are the chances her friend saw this and brought it to her? A million to one! How do we connect with you? Peace Maker: Cheers to the woman who fearlessly broke up a fight outside of 7-11 on Monday afternoon, 1/28. She stopped her maroon van in traffic to get out and assist the situation with the utmost strength. You're willingness to help the good of everyone was inspiring. Takes a village, and you've promoted my goals to be proactive and kind. Thank You: To the guy with the red truck at Sullivan gas station Monday evening. Thank you for jump starting my brother's vehicle. We appreciate your help and kindness. Thank you so much!! Situational Awareness: To the people who go into the entryway at Costco a few feet and then stop causing customers behind them to stack up like pancakes. Wake up! Look around! Ditto to the people who get on their cellphones at the check in scanner at Health Clubs so no one can check in. Also to the people who stop to visit with 10 of their dearest friends to visit in the aisles in the grocery store or by the entrance. To all of these: find a better place to stop away from entrances and aisles. It's not difficult. Cruisin': Some of y'all learned to drive in big cities, and it shows. Negligent Dog Owners: Jeers to the couple seen at Chipotle around lunch on 1/31 with their small dog confined in a bag. You left your whimpering animal at a table, crammed in a tiny backpack while you selfishly took your sweet time ordering and eating-showing no mercy for your distressed dog! Animals are NOT accessories to be toted around. Leave your dog at home or figure out how to travel with them humanely. Please be kind and think of what is best for your pet. Your heartless ignorance makes me sick! BOO HOO! Government Employees: I am so sick of people who barely suffer and whine like a small child whose parent won't buy them a toy at the store! I am referring to Federal government employees and the recent shutdown. I will make this simple to understand, the average Federal employee annual salary is roughly $80,000! let that sink in, $80,000! So if the federal government shuts down for three months that would be one fourth of their annual salary or $20,000. Sounds like a lot doesn't it? Keep in mind they still have $60,000 left! No need to mention the on average 13 days of paid vacation, 13 days of paid sick leave, 10 paid holidays, full health insurance, student loan payback, child care, 401k.... So BOO HOO! Many people, just like me, work extremely hard and don't even make near $20,000 a year. Benefits? What are those? Yet we carry on doing the best with what we are given. No one brings us food, or gives special deals and discounts on our purchases. If you are getting $60,000 or more a year be humble, never complain, and wipe those tears away cause your ordeal is not anywhere as bad as it could be and for many is! Keep it up you selfish whiny little ingrates.